Eridge Park Estate – the new home of Hell Down South. Now wilder and wetter, hillier and hellier than ever. 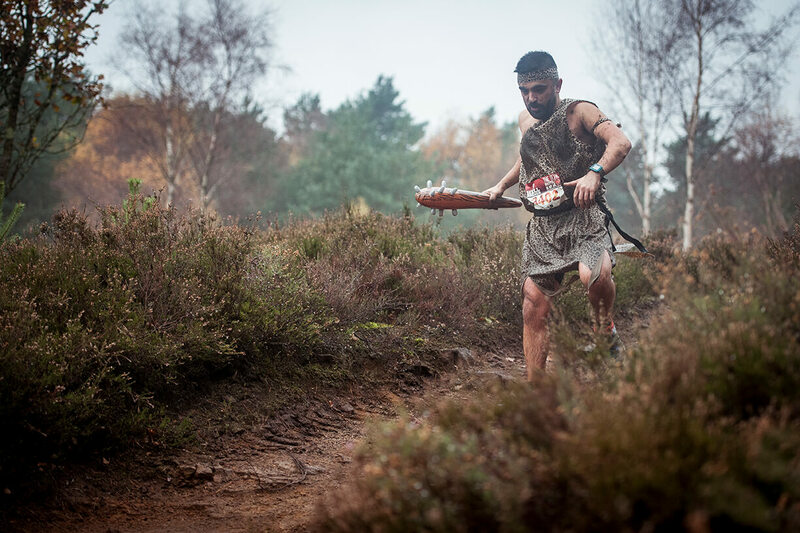 In 2019, longer too, as we bring the southern edition of HellRunner up to Half Marathon distance by popular demand. Eridge Park is the family home of the 6th Marquess of Abergavenny. It is steeped in history, with breath-taking grounds featuring extensive ancient woodland. 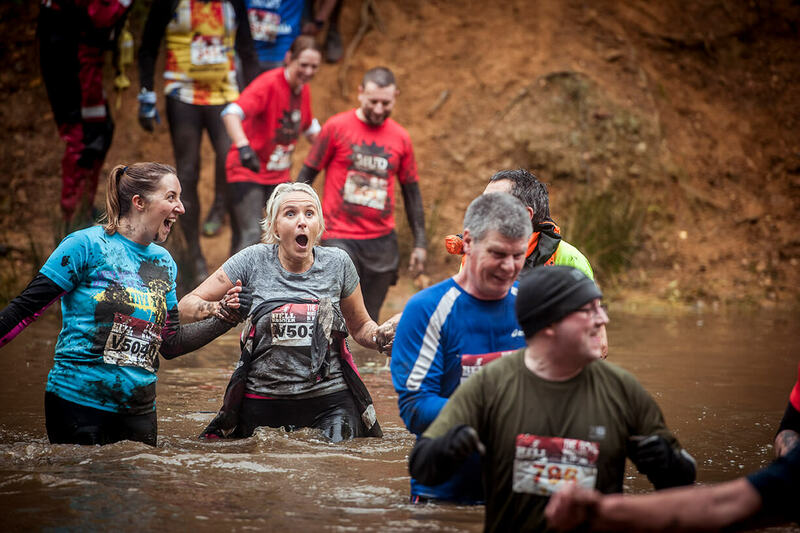 This wonderful private venue gives us a Demonic mixture of hills, water features and muddy terrain. Join 2000 lost souls on a 13 miler laced with theatre, music and pyromania, plus signature features such as the Bog of Doom and the Devil’s Disco. Featuring parking (£5 in advance; £10 on the day), event village, changing facilities, camping, extensive food options, Rat Race Store, MC and of course, a Devil on Stilts! Our full course is a 13 mile route. There are no obstacles, just hellish natural challenges. 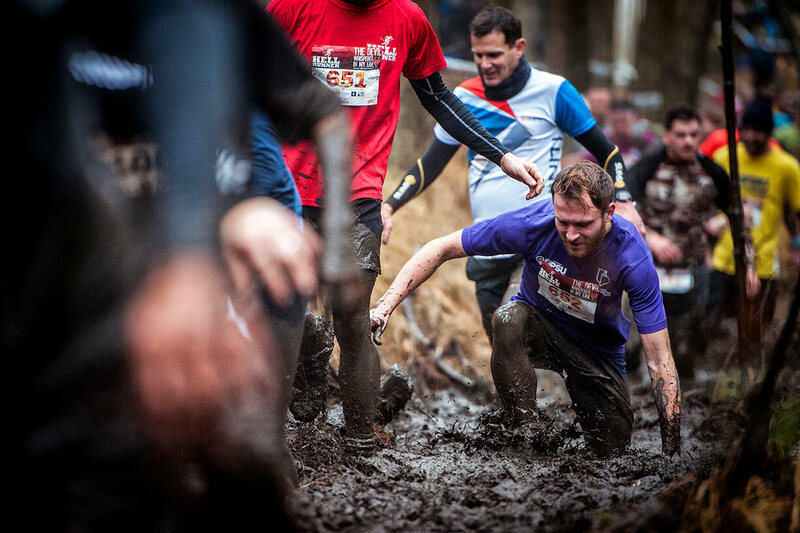 Bogs, hills, water, mud, mud and more mud. 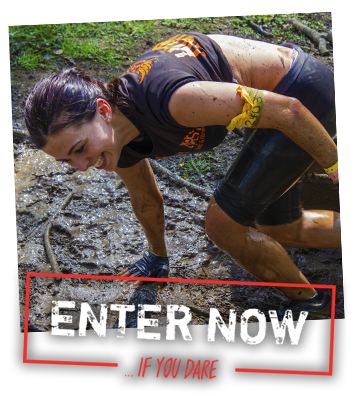 Entry is available for runners with a high pain threshold over the age of 14 years. Want to just dip your toe into Hell for a gentle look around? Well bad luck. While this is half the distance, it is no walk in the park. At approximately 10km your soul will still need to stand up and be counted. Halfway to HellRunners can enter the later waves with their full HellRunner mates, splitting off at the short cut, hoping to be reunited at the finish. This upgrade takes you round twice for a marathon of misery.  Along with an exclusive early wave for Marathon runners, this upgrade includes a Hell Of A Marathon race tee, extra water station at the start of the second lap, and special golden medal with dedicated ribbon. Marathoners have 8 hours to complete this epic, with the second lap needing to be commenced within 3hrs 45 mins. Places are limited to wave 1. Not even children are spared at HellRunner. 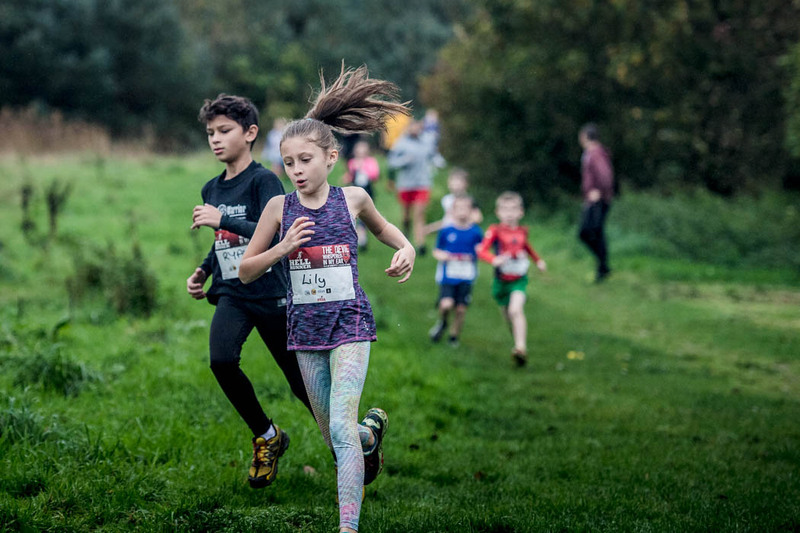 The Little Devils race is for kids up to 13 years of age. We ask that under 7s are accompanied on course by an adult to supervise their progress. Wave 1 is reserved just for our Hell Of A Marathon class. They start 30min before the other HellRunners to get out in front and have time to make the 12noon cut off for lap 2. Our premium wave is for the keen beans or those wanting to give themselves maximum time to complete. It is an extra £5 to enter this wave.  Suitable for those that want to get the clearest running experience before the Half Way To Hell short cut is opened after 11:15am. 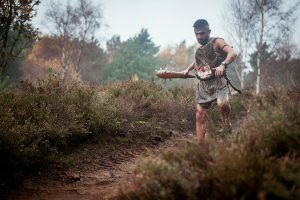 HellRunner full course runners only please. Mixed waves of HellRunner full course runners and Half Way To Hell runners. Half Way junction opens on course at 11:15am. Waves will depart every 15 minutes with a maximum of 300 people per wave to ensure a quality on-course experience for all runners. Small valuables that fit in an A4 envelope can be left free of charge in our manned valuables drop located in the main marquee close to the Start / Finish. There will also be a fenced area for bag drop that is uncovered and unsecured. In this bag drop area, all baggage shall be left at the owner’s risk. We recommend that some items that can be quickly pulled on after the run are left in a waterproof bag. Small basic changing areas will be available for all participants as standard. 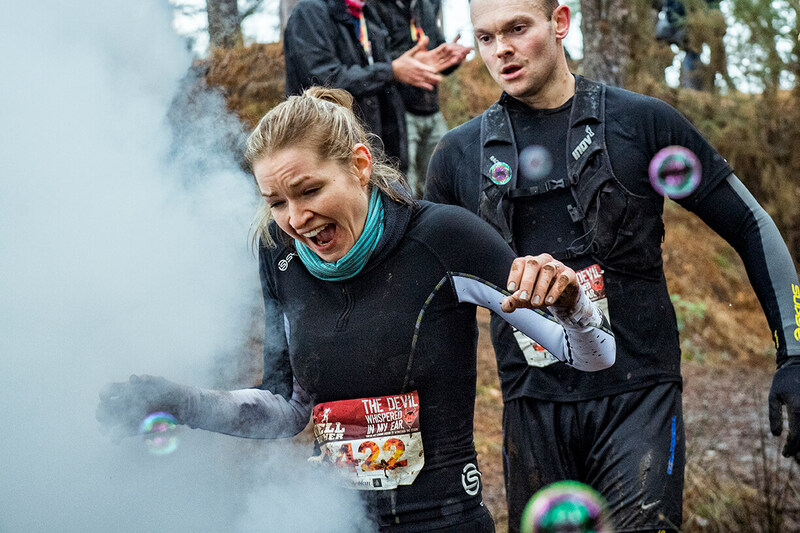 However, we recommend that all runners arrive at the event already changed and bring additional warm and dry items to put on for your return journey. Medical support will be present on the course and at the finish. You should be relatively fit and have no known medical conditions. Please note – do not run with a cold or flu. This can be extremely dangerous. Portable toilets will be available within the event village and close to the start / finish area. It is always a good idea to visit the loo before arriving on site. 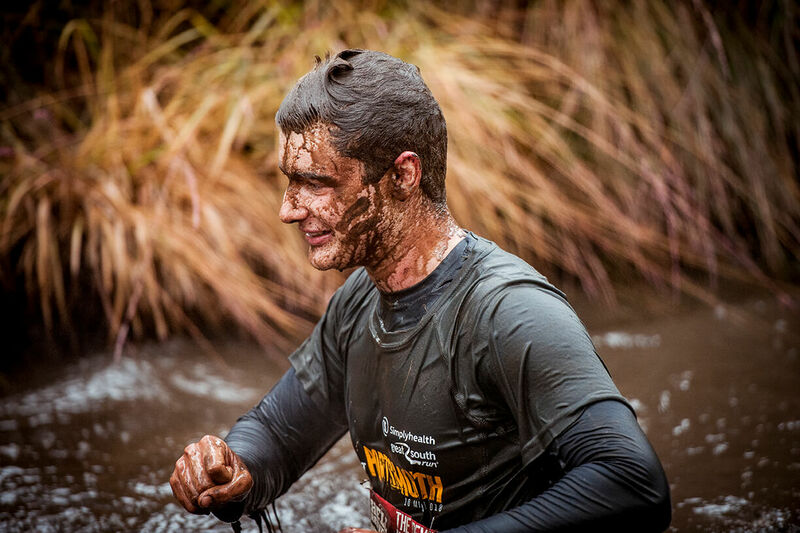 There will also be a handwash facility at the finish to get your mitts mud-free. 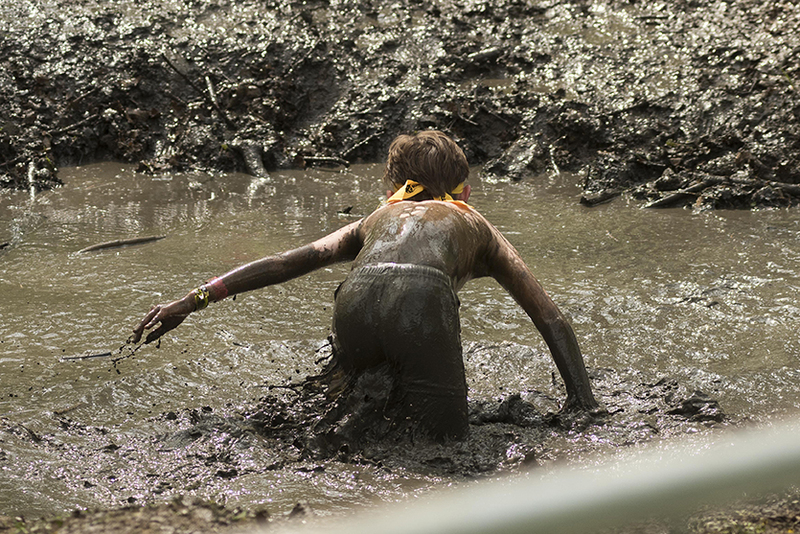 (Yes, your hands will get muddy). 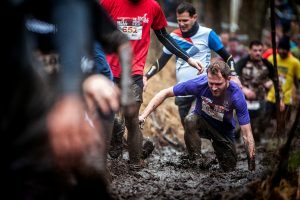 For those looking for extra facilities we offer a VIP Upgrade which includes a jacket potato (for those post-race hunger pangs), hot showers, a heated changing tent, bag storage for the duration of the event AND dedicated toilets. This upgrade is available to purchase here. NEW for 2019, hot food and drinks can be purchased and enjoyed within the shelter of our heated marquee. On the course there will be a two snack stations for those doing the full Hell Up North and Down South routes. These simple snacks will help keep your pecker up with the encouragement of our angelic marshals. If you think you will need sustenance to get round then best carry some calories yourself. Please only drop litter in the bins provided.  For the main HellRunner class there will be three opportunities en-route where drinking water will be made available in addition to that provided at the finishline. 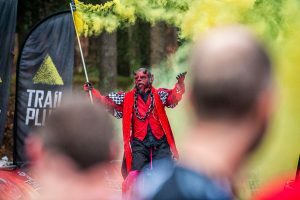 For those taking part in the Halfway to Hell short course, there will be a minimum of one on-course water station in addition to the bottled water provided at the finishline. Before the run we recommend you come hydrated and with your own bottle of water. Our team will operate an onsite registration process. Rat Race tech tees, timing chip and bib numbers are collected at registration. No more hoping there is the right size t-shirt at the finish if you are one of the later finishers. Don’t forget that YOU WILL NEED PHOTO ID and to fill in our disclaimer form in order to register. All information is correct at time of event launch. Precise details subject to confirmation in the weeks before the event. Any changes will be communicate din pre-event confirmation. The Eridge Estate lies 2 miles south of Royal Tunbridge Wells in western Kent, close to the border with East Sussex. 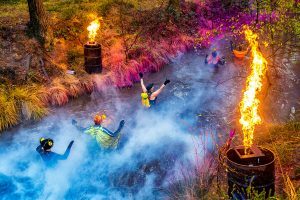 While set in the stunningly rural setting of the Garden of England, the event is just 40 miles south-east of central London and 25 miles from Gatwick airport. From M25 Junction 5, follow A21 south to Sevenoaks/Tonbridge, leaving the A21 at the TUNBRIDGE WELLS exit and follow the A26 through TUNBRIDGE WELLS towards CROWBOROUGH. ERIDGE PARK is two miles from Tunbridge Wells on the A26 Crowborough Road. A precise postcode will be supplied for the event car park in the weeks before the event. From CHARING CROSS to TUNBRIDGE WELLS on the HASTINGS line. If you want to arrive in old school style steam trains run from the Tunbridge Wells Old West Station (five minutes’ walk from the mainline station) direct to Eridge on the Spa Valley Railway. Alternatively, Eridge Park is a short taxi ride from Tunbridge Wells station. If coming by taxi, you shall be required to be dropped off at the entrance to the event car park before the pay lanes. Drop off vehicles will be able to follow the signs to the exit. All prices include VAT at 20%. An administration fee of 5.99% will be added to all transactions. Only available for wave 1 and limited to 300 places. Includes regular medal and Rat Race t-shirt plus special marathon t-shirt and medal. All prices include VAT at 20%. An administration fee of 5.99% will be added to all transactions. 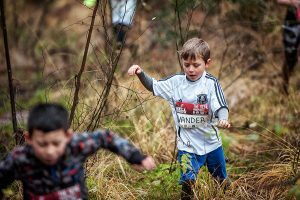 *Kids under 7 must accompanied on the run by a parent. Kids race is £15 when purchased on the day.